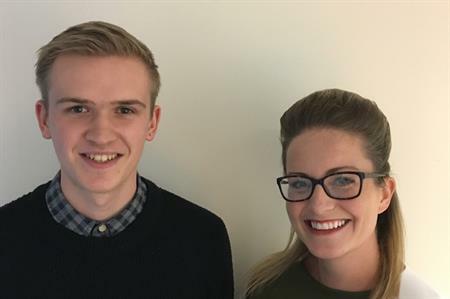 MGN Events has expanded its team with a new event coordinator and an apprentice, as it continues with its growth and expansion. Hettie Thomas has joined from cancer charity, Teens Unite Fighting Cancer. Meanwhile Bradley Sewell has come onboard as apprentice. Previous apprentice Josh Nash has now taken on a full-time permanent role as production coordinator. Thomas said: "I am delighted to be joining MGN Events at such an exciting time of growth for the company. I was thrown in at the deep end during my first few weeks as I was involved in an away day for one of our clients Trainline for 450 people. I was also helping out at a twenty year anniversary party for Sunbury-based Kingston Technology for 150 people. It really has been a baptism of fire!" Mike Walker, managing director of MGN Events, added: "This last year has seen a significant investment in property and staff as we prepare ourselves for a busy 2017. As a business, we continue to push forward and have increased our turnover and gross profit for the fifth successive year."